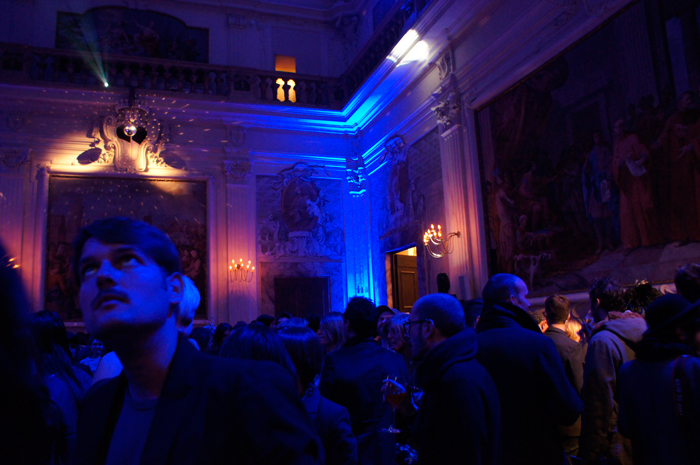 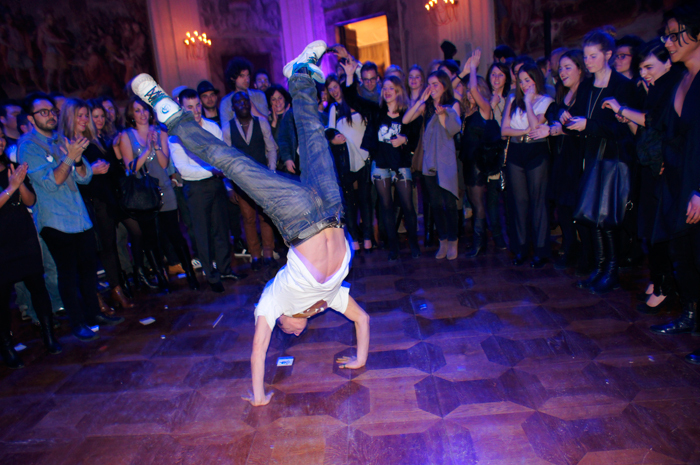 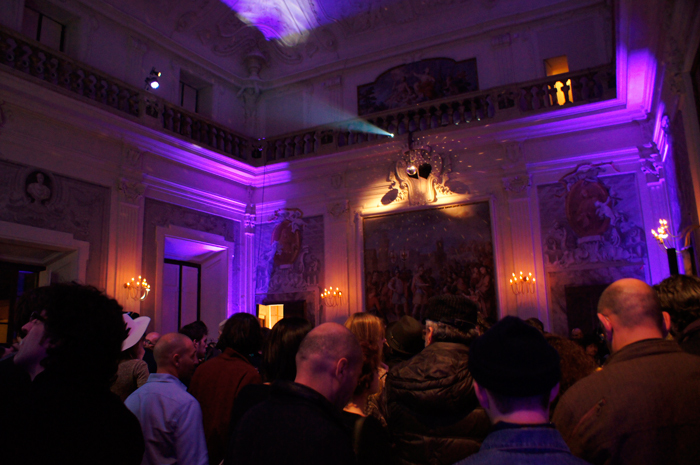 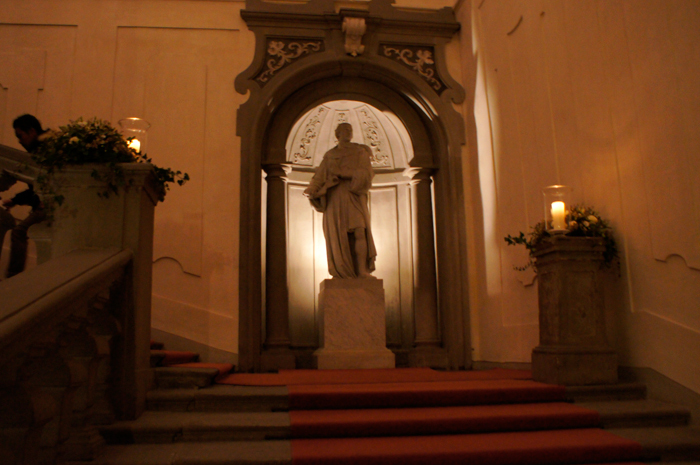 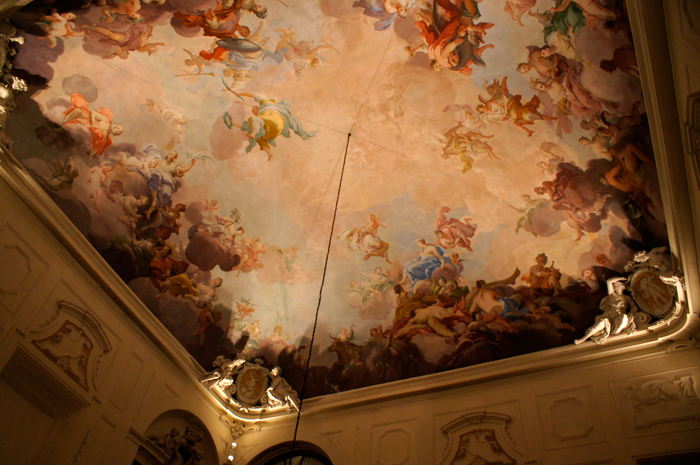 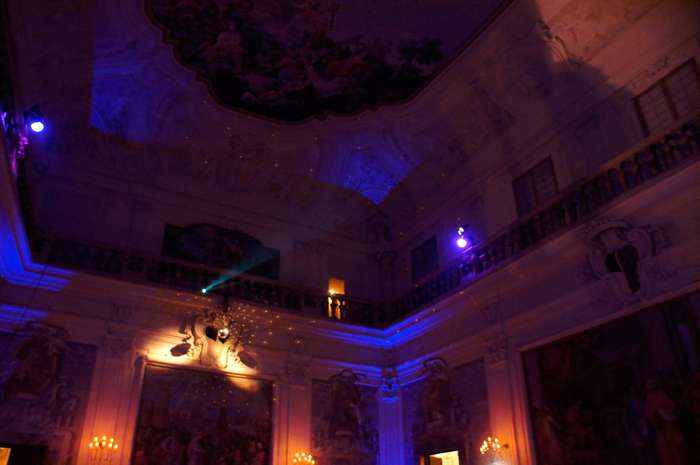 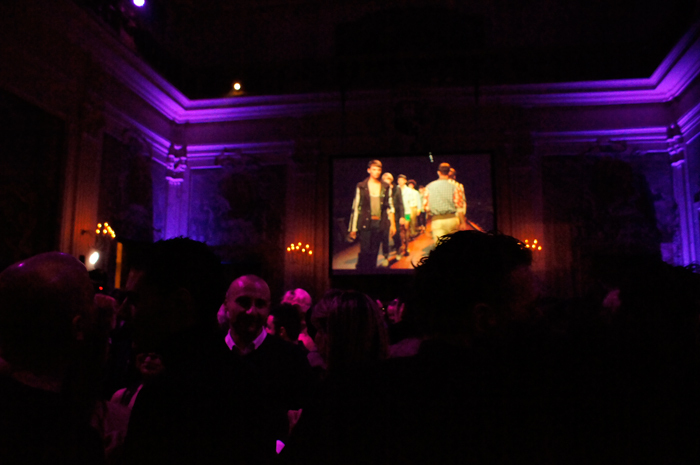 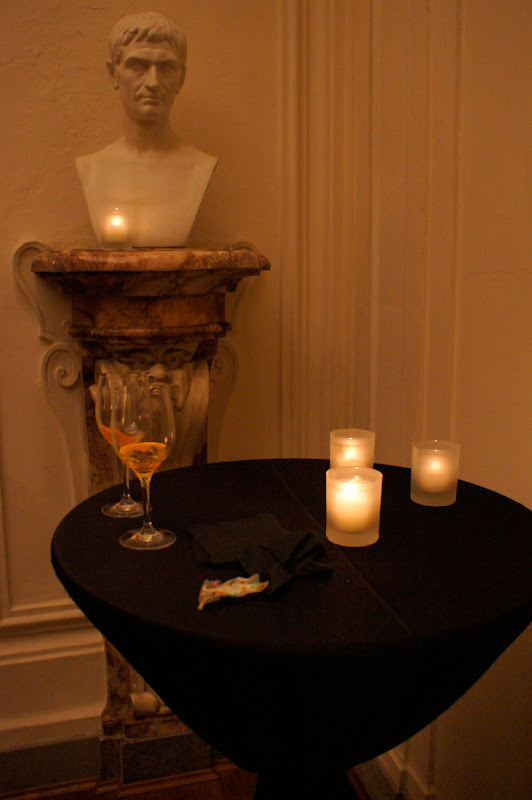 Tokyo Fashion Week in Italy offered a party at Palazzo Capponi all'Anunziata with the attendance of the Pitti people. 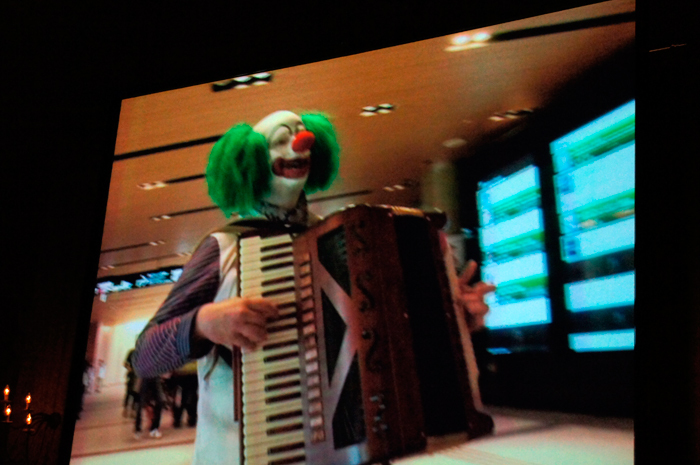 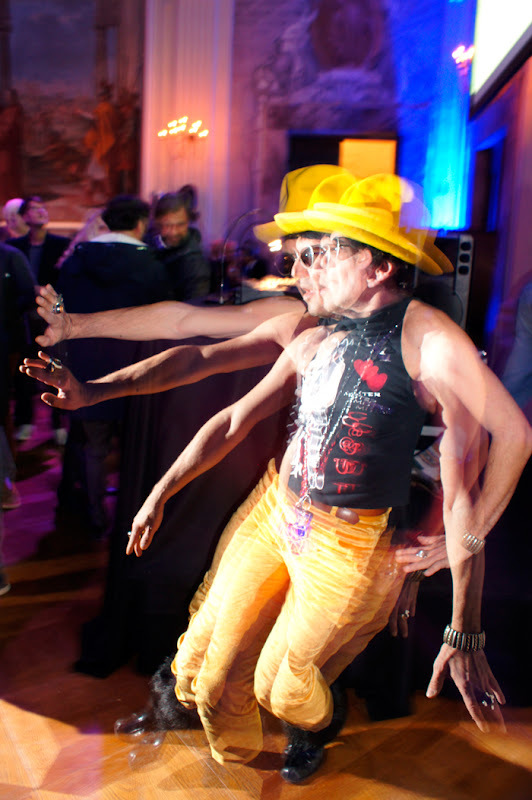 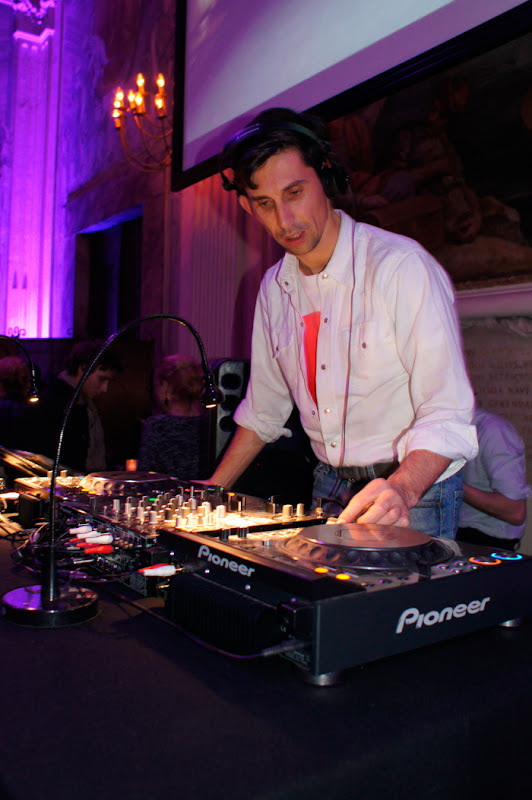 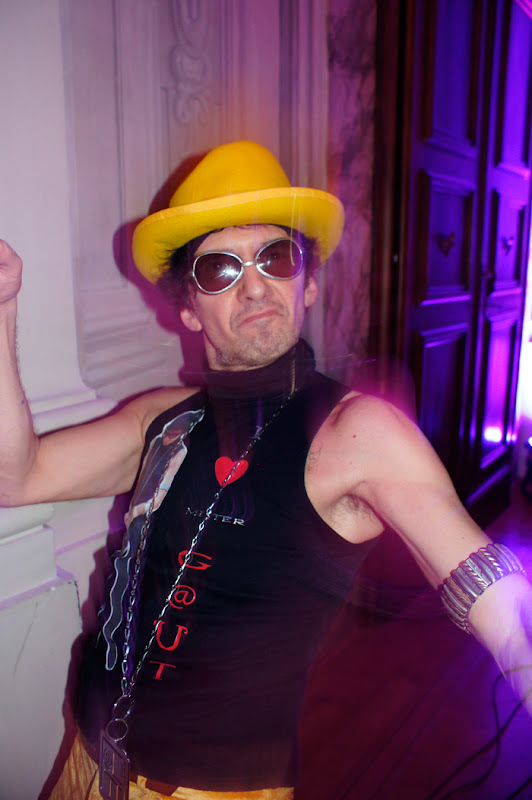 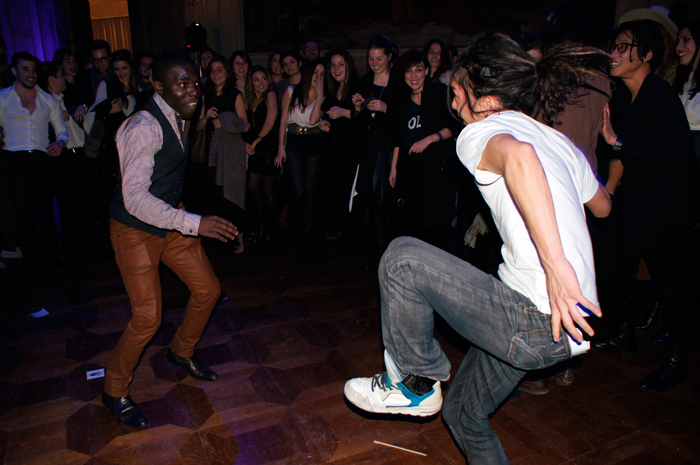 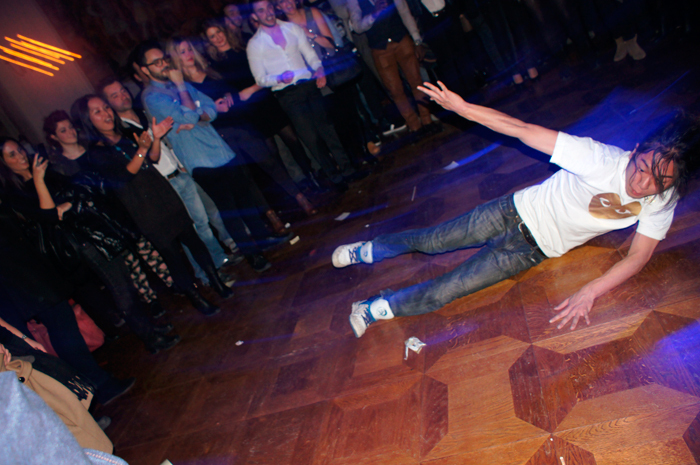 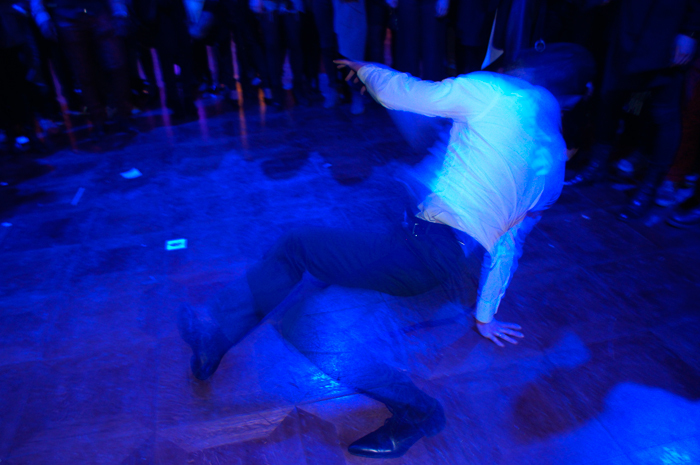 Special music set from Parisian DJ Jerry Bouthier from French Music Maison Kitsuné. 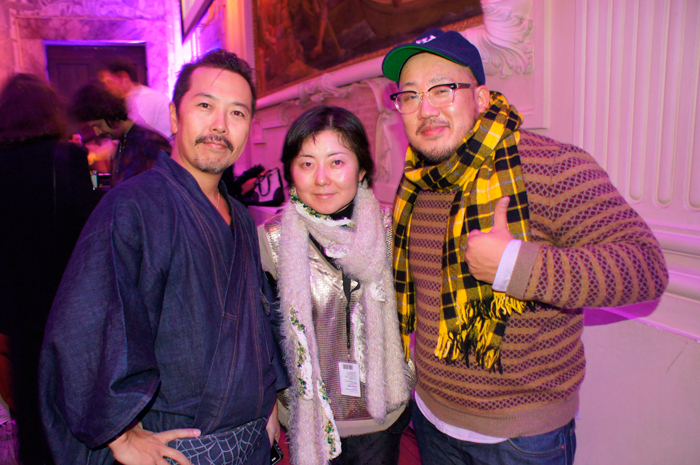 Special thanks to the staff from Tokyo for the invitation. 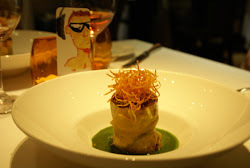 A very special style of Ramen noodles inspired by the Italian flag colours was served for the occasion. 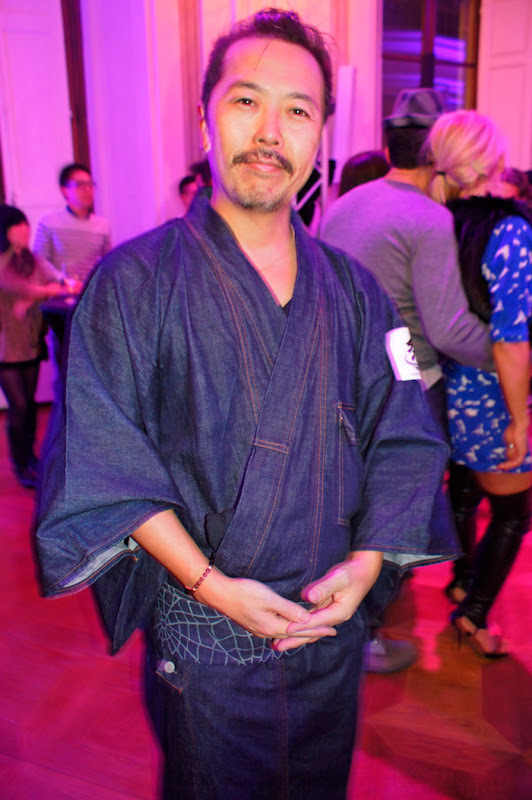 By the hands of Hideto Kawahara from Hide-chan Ramen, owner of Ramen shops in New York and Hong Kong, already listed in the Michelin Guide 2012. 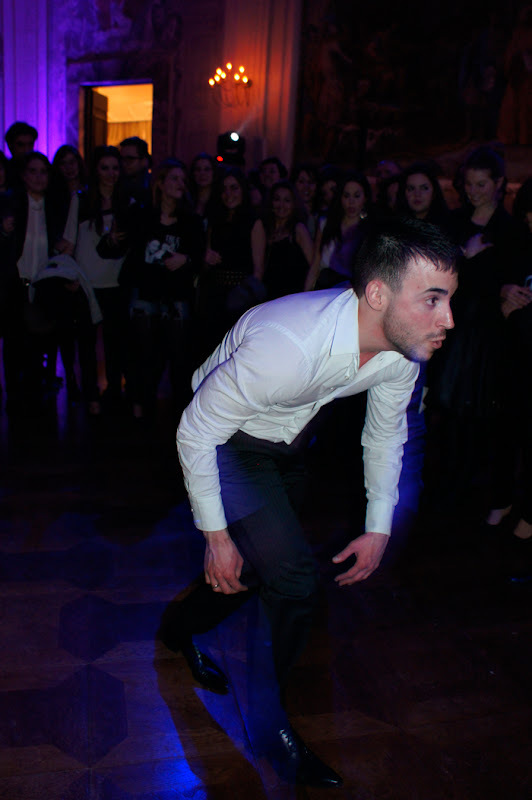 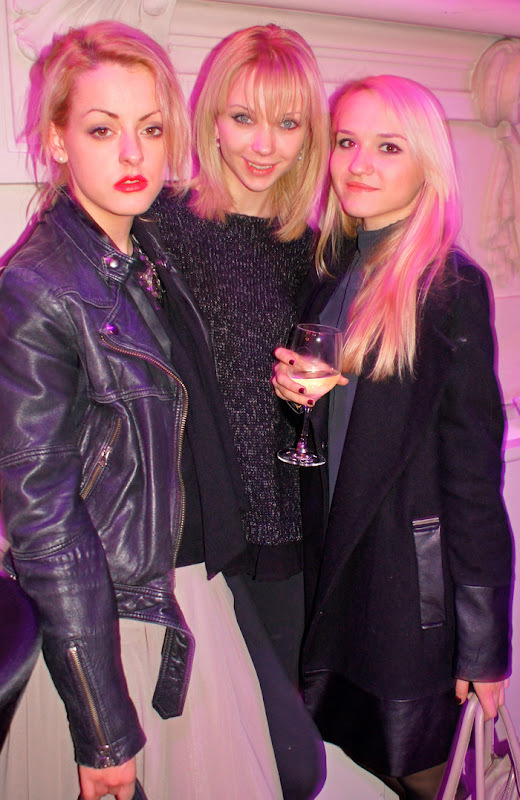 Check out the photos of the evening. 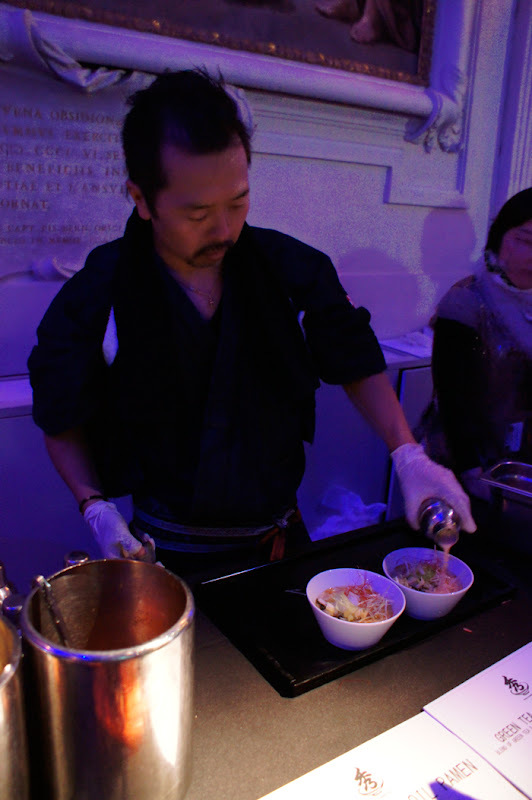 Chef Hideto Kawahara offered a soup with a Japanese base, bonito, burned soy sauce, a topping of white spring onions and slightly boiled seaweed pickled snappers. 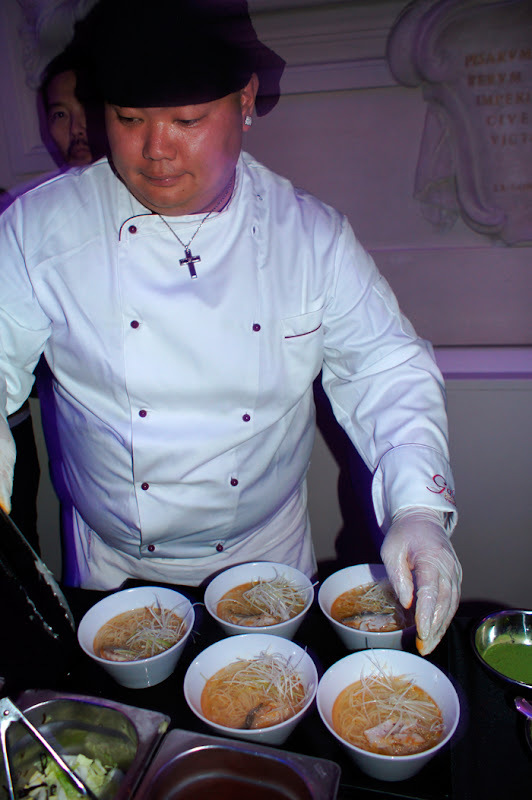 The ramen is completed with a special sauce made by shakers to power the taste. 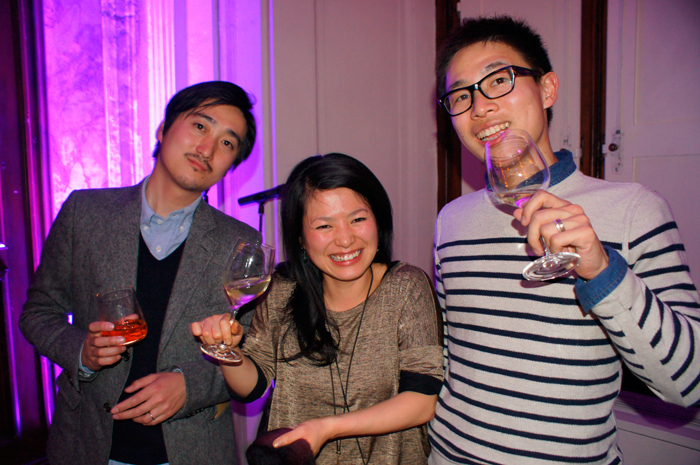 The curator of Versus Tokyo, Yuichi Yoshii (right) with the chef and a member of the Tokyo staff.